BHM welcomes Pickwick Gardens, Pickwick Bowl and Pickwick Ice to our family! Pickwick Gardens is an icon of the Burbank and San Fernando Valley area. Their grounds consist of beautiful event venues and gardens, classic bowling alley and an olympic size ice rink. Pickwick is an ideal setting for your next event, whether you’re getting married or having a birthday party! A neat aspect of this project was integrating with Google’s new Virtual Tour Service. 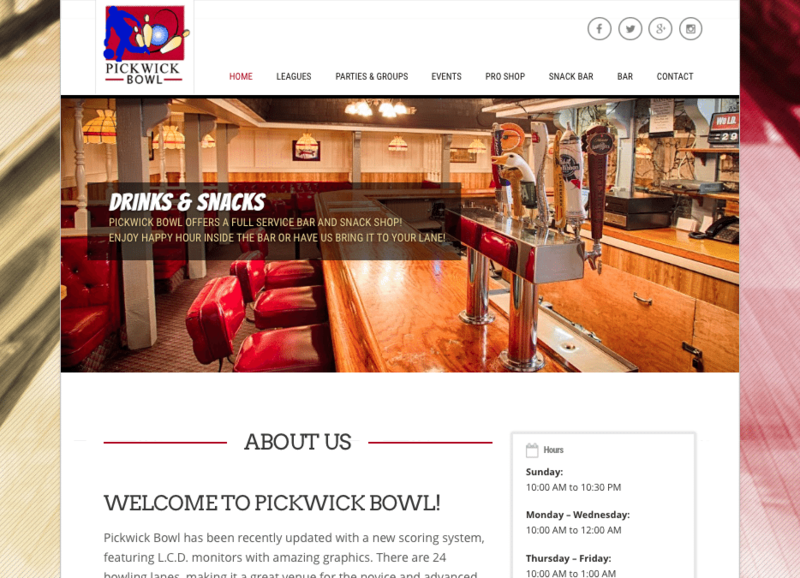 BHM worked with Google contractors to implement a virtual tour of Pickwick on their website. Constructed two websites to exact design specifications provided by client.